New reviews, and a new way to buy the book and help Syrians! This week The Cairo Review of Global Affairs described Brothers of the Gun as “an indispensable read that features how ordinary youths change, adapt, and resist, in different forms, in the face of unceasing injustices”. And “a story of hope, fear, devastation, uncertainty, and bravery told through a concise and personal narrative. 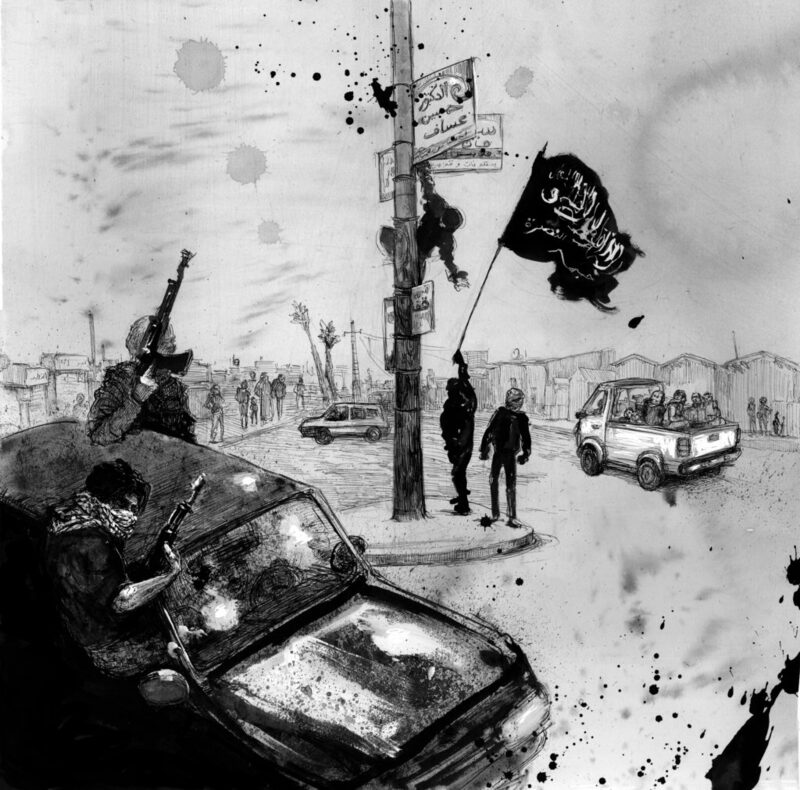 It is an essential read for anyone who seeks to understand what Raqqa has endured”. Former US Marine Dewaine Farrina reviewed Brothers of the Gun for The Mantle .He gave an eloquent description of his time in Syria, before and after Arab Spring, and his impressions of the book. Describing Molly as “one of the most influential visual artists of our time” and saying that “(Marwan) demonstrates courage in every sense of the word”. Check out his wonderful piece Sea Stories and Memoirs: A Review of Brothers of the Gun. 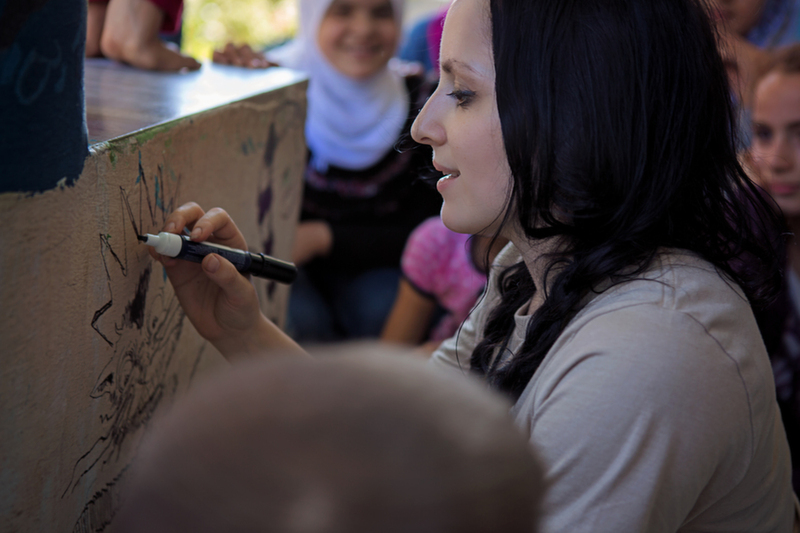 The Karam Foundation is a non-profit that began in Chicago in 2007 that provides aid to Syrian refugees. They create education and entrepreneurial opportunities, as well as give direct emergency assistance to recently relocated Syrians. 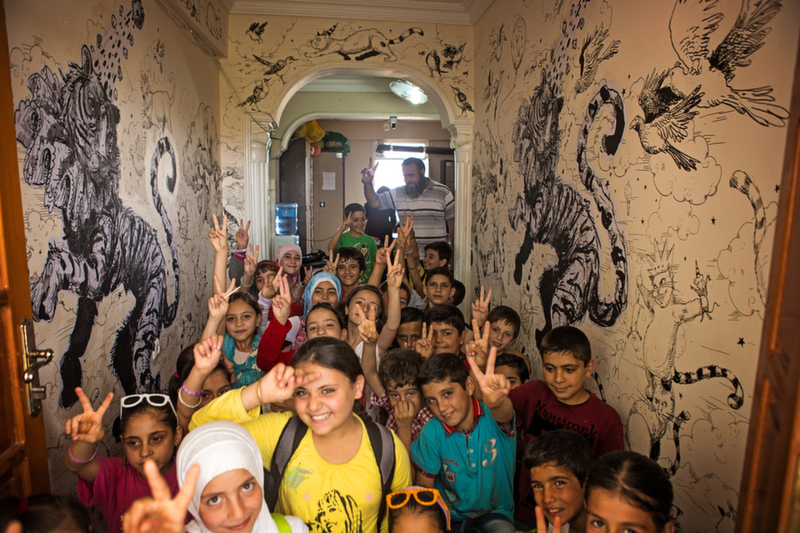 You may remember them from the murals Molly painted at Karam House and in schools in Reyhanli, Turkey in 2015. 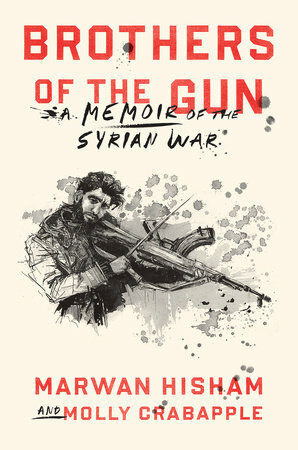 Right now you can buy your copy of Brothers of the Gun directly from the Karam Foundation where proceeds will benefit Syrians in need. While you’re there check out some of the other amazing books about Syria that they carry. 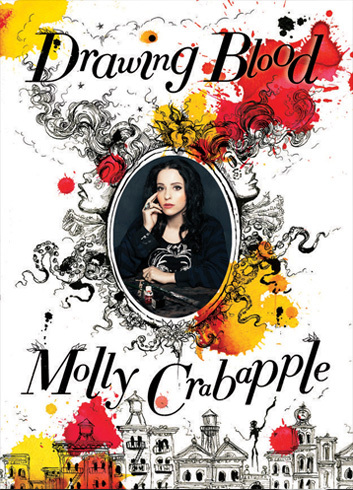 Or pick up a set of the “Innovative Leaders” series of greeting cards, illustrated by Molly! Visit KaramFoundation.org to learn more about the incredible work they do. This entry was posted in Art, Press and tagged Brothers of the Gun, Karam Foundation, Press on August 14, 2018 by Ariel.